THURSDAY, Feb. 22, 2018 (HealthDay News) — Your tears may reveal if you are at risk of Parkinson’s disease, preliminary research suggests. 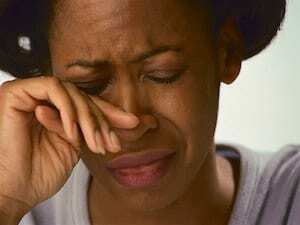 When people shed tears, certain proteins are released. Levels of those proteins are different in people with Parkinson’s compared to those without the disease, according to a preliminary study. “We believe our research is the first to show that tears may be a reliable, inexpensive and noninvasive biological marker of Parkinson’s disease,” said study author Dr. Mark Lew, of the University of Southern California School of Medicine. Parkinson’s is a progressive degenerative disease of the central nervous system. It usually causes tremors and stiffness, or slowing of movement. Early symptoms may be mild and go unnoticed. Lew’s team analyzed tear samples from 55 people with Parkinson’s and 27 people without the disease. Levels of one type of protein were higher and levels of another type of protein were lower in people with Parkinson’s, the findings showed. The proteins in tears are produced by cells in the tear gland through nerve stimulation. Because Parkinson’s can affect nerve function outside of the brain, the researchers wanted to investigate if disease-related changes in nerve function could be revealed by analyzing tears. “Knowing that something as simple as tears could help neurologists differentiate between people who have Parkinson’s disease and those who don’t in a noninvasive manner is exciting,” Lew said in a news release from the American Academy of Neurology. “And because the Parkinson’s disease process can begin years or decades before symptoms appear, a biological marker like this could be useful in diagnosing, or even treating, the disease earlier,” he added. However, that’s still far in the future. Further research with larger groups of people is needed to find out if tear samples could reveal Parkinson’s in its earliest stages, before symptoms develop, the study authors said. The study will be presented at the American Academy of Neurology’s annual meeting in Los Angeles, April 21-27. The findings should be considered preliminary until peer-reviewed for publication in a medical journal.